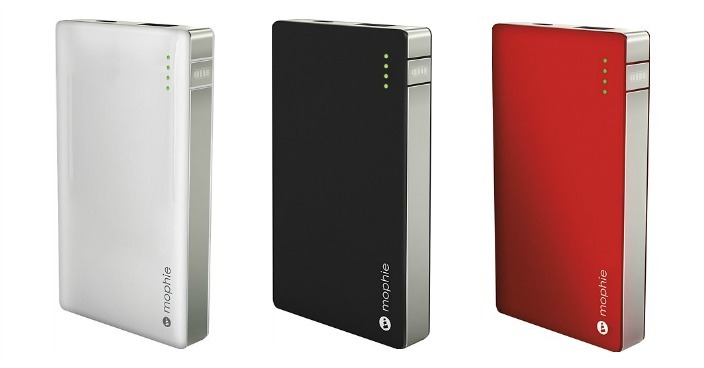 Mophie Juice Pack Powerstation External Battery Just $9.99! Down From Up To $80! You are here: Home / Great Deals / Christmas Deals / Mophie Juice Pack Powerstation External Battery Just $9.99! Down From Up To $80! Best Buy has this Mophie Juice Pack Powerstation External Battery on sale for $8.99 (Reg. up to $80) and you can choose from 3 different colors! Plus you can get FREE 2 day shipping or FREE in-store pick up on select colors! Keep your USB-enabled device powered and ready for use with this mophie powerstation 4000 40406BBR external battery that features a 4000 mAh capacity and offers a selectable 500-mA, 1-amp or 2.1-amp output for flexible use.